The Bible clearly teaches the responsibility of every church to reach out to others with the good news of the gospel. This activity is not linked only to each church’s immediate locality, but also to missionaries in various locations around the world. We at Buckingham are grateful to be involved in five areas of missionary activity. As two of these relate to work that is being done in communities / nations that are hostile to the gospel, details on their activities are not made available to the public. Alex grew up as part of a missionary family in Uruguay, before returning to the UK in 1971 to later study at Durham University. Following this he worked for a firm of chartered accountants for several years, before leaving to study at Bible College and receive further training for the mission field. Since 1988, he has been based in Peru. 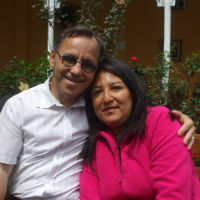 He now plays an extremely active role in helping churches in the town of Trujilo, preaching regularly and lecturing on a wide range of Bible subjects. He is married to Giovanna and they have three children, Jonathan, Linsey-Ruth and Katrina-Grace. Adrian is married to Eirene and together they have one son, David. The son of a pastor, Adrian has long had an interest in Christian Ministry since becoming a Christian during his last year of studying English Literature at the University of Swansea. After several years of serving as a Church Worker, in May 2016, Adrian took on a new role as Pastor of the Romanian Fellowship he had started with a Romanian friend, Cornel Pelea. 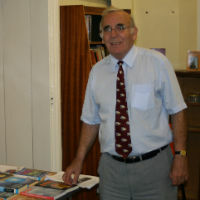 Having previously worked as an auditor and a Pastor of an English-speaking Church in Bristol, Adrian, a Welshman, accepted the call to pastor the Romanian-speaking Church. Whilst he has good conversational Romanian, he tends to preach in English with an interpreter. The fellowship meets at United Church (All Saints) in Longwell Green to the east of Bristol. As a self-confessed ‘Romaniac’, Adrian is also involved in outreach work with Roma children and charitable work in Romania itself. ‘Romanian Ministries’ collects and distributes funds to support Christian work there, including relief of the poor. For more information about Romanian Ministries, please see its own dedicated page. This organisation ministers to pastors and church workers in Africa and other parts of the world with the purpose of assisting their development in preaching and ministering to their congregations. This is done both through distance mentoring and also regular conferences. We at Buckingham maintain a keen interest in this work, and regularly pray for the mentors / conferences speakers. EMF is an inter-denominational mission committed to the Reformed Faith which serves the evangelical churches of Europe. The over-riding aim of EMF is to establish Biblical Christianity throughout Europe. This embraces the work of evangelism, church-planting and supporting gospel churches, at the same time encouraging them to become self-governing and self-supporting. EMF works closely with evangelical churches both in the United Kingdom and abroad in a desire to further the spread of the gospel. To achieve this aim, EMF facilitates the support of both missionaries sent out from the UK and abroad and indigenous pastors and evangelists. They also recognise the need of training for those who wish to serve the Church and provide an intensive thirty-week theological course in Welwyn, Hertfordshire, UK. EMF is becoming increasingly involved in translating and publishing good Christian literature to assist those engaged in gospel work and to provide believers across Europe with a little of the wealth of Christian literature available to the English speaking world.